Explore the biodiversity of the Hudson River by dragging a 30-foot seine net through the water to catch fish and other remarkable estuarine animals. Students keep a tally of our catch and draw conclusions by graphing the total outcomes. We provide chest waders to help keep students dry. While waiting their turn at seining, students embark on a marsh scavenger hunt to see how many Hudson River artifacts they can find. Please note, this program is conducted April–October. Students participate in a beach scavenger hunt to find artifacts washed up onto the shore. Then they use their senses to classify their findings and other Hudson River artifacts by identifying plant and animal characteristics. How do fish swim? How do birds fly? Students discover the unique adaptations of various fish, birds, reptiles and invertebrates that inhabit the Hudson River watershed. Participants will view real life adaptations using our resident turtles, fish and other species. 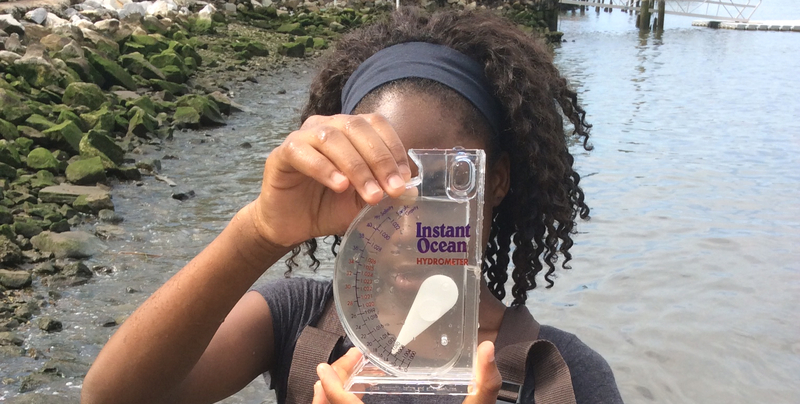 Students learn about Hudson River geography, estuaries, watersheds, tides, wetlands, and pollution, through demonstrations using a one-of-a-kind Hudson River Estuary Model. A Hudson River floor puzzle and mapping activity are included in the lesson. 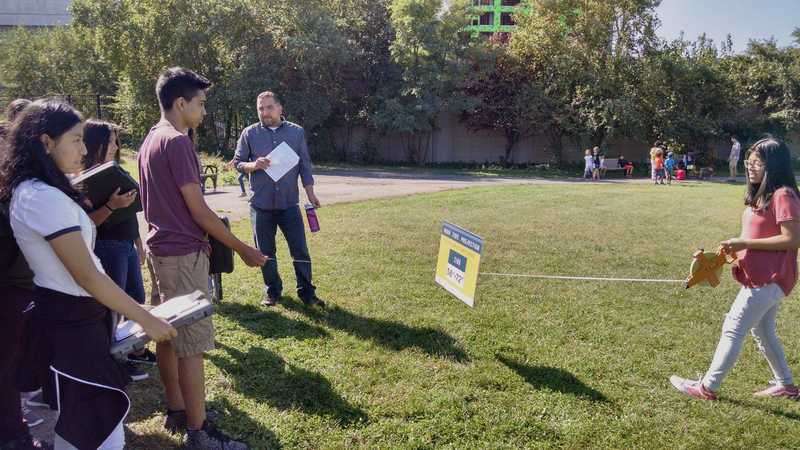 Students role play parts of the food web and discover the interdependencies of plants and animals in the Hudson River watershed through a hands-on activity. See how those relationships change when pollution enters the system. The importance of plankton is emphasized. Discover bird adaptations through hands-on demonstrations featuring how birds use their feathers, beaks and feet for survival. Students face challenges as they role-play birds migrating from one place to another. They will observe the riverfront for bird sightings and then create bird feeders out of recycled water bottles to take home! Plankton is not just a cartoon character! Enter the fascinating world of aquatic phytoplankton (plant-like plankton) and zooplankton (animal plankton) beginning with their role in food chains. Students toss a plankton net into the river to collect live specimens. They then learn observation and identification techniques using microscopes and reference guides. Explore our tidal marsh and uncover the secrets of this delicate system. Students work in teams learning about marsh zones, tides, and plant adaptations. In groups, students embark on a scavenger hunt, dip nets in the tide pool, collect sediment samples, and create sketches of this unique wetland habitat. Please note: this program follows the tides and is conducted April – October. In this fun, messy activity, students compete in groups to see which team can make the best economic and procedural decisions to best clean “pollution” from a dirty water sample (made with food coloring, vegetable oil and dirt). How can you tell a striped bass from a white perch? Exploring fish from the center’s aquaria, students will use a dichotomous key to identify various Hudson River fish species with an emphasis on form and function, external anatomy, as well as both physical and behavioral adaptations. Oysters are an important native species of the Hudson River estuary, and are often called “filter feeders.” This lesson delves into the misconceptions of oyster filtration by having students role play to investigate how oysters actually feed, and how that can affect their bodies and the ecosystem. Students also learn about oyster anatomy and physiology, and get to explore live oysters from the river. Students get an introduction to water quality in the estuary and then collect water samples to measure physical and chemical parameters. Interactive demonstrations and data analysis help students understand the dynamic roles of each parameter in the Hudson. The data is compared to real-time data from other Hudson River monitoring systems. In addition to exploring and testing water quality parameters from the Hudson River, students investigate major sources of pollution. Participants learn about citizen science projects around water quality, and how to analyze test results using government-approved bacterial testing techniques. Don’t know what program to choose? Book two 1-hour programs in the same day and receive a $50 discount! One Day, Two Hudson River Experiences: Looking for a fun and educational way to explore the Hudson River with your students? Pick a day, pick a program and join educators at CURB to discover first-hand the biodiversity of life thriving in and around the Hudson River watershed. 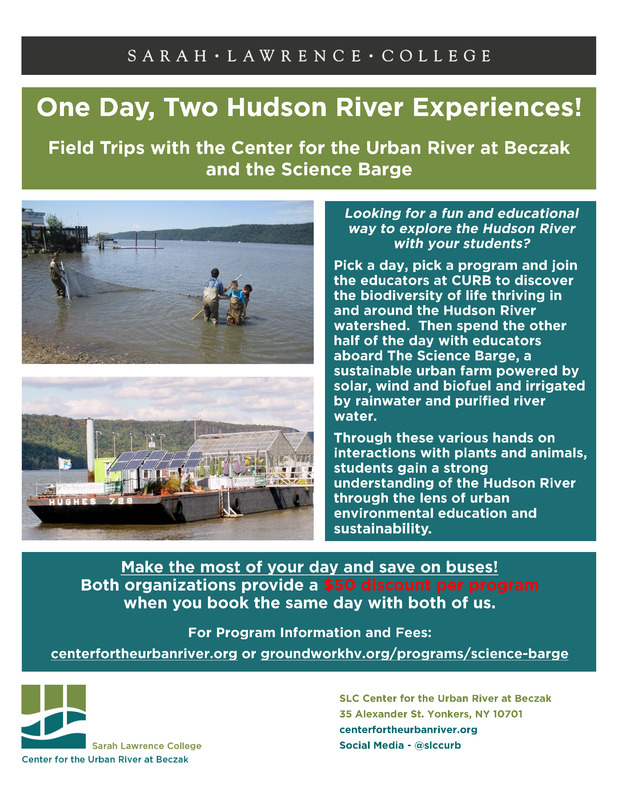 Then spend the other half of the day with educators aboard Groundwork Hudson Valley's Science Barge, a sustainable urban farm powered by solar, wind and biofuel and irrigated by rainwater and purified river water. Both of these programs will provide students with a cohesive understanding and excitement for the mighty Hudson River. See flyer for details about programming options. To reserve your class trip call (914) 377-1900 ext 12 or email ecaref@sarahlawrence.edu.